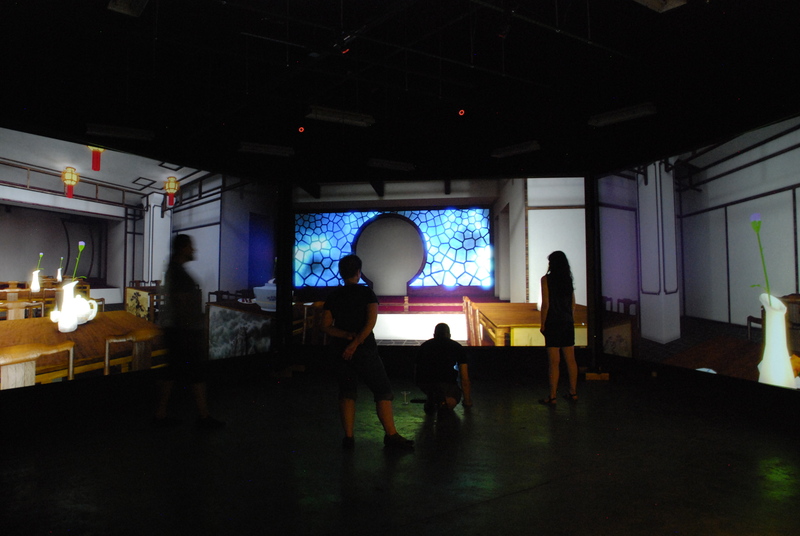 The Emergent Reality Lab (ERL) is a School of Humanities, Arts and Social Sciences research facility housed at Rensselaer’s Technology Park. The ERL is a platform for research in virtual reality and mixed reality, combining the real world with immersive virtual environments and the immersion of storytelling and gameplay. 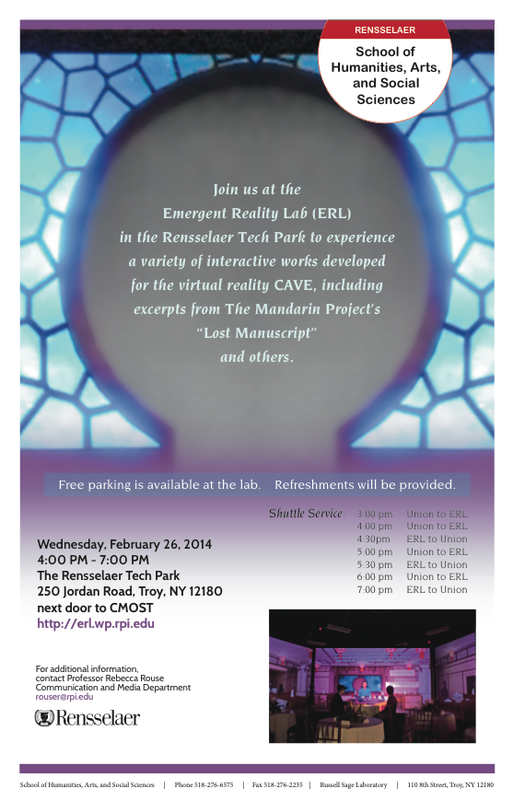 The ERL is a CAVE(tm)-Like virtual reality system that can be reconfigured for different project needs. The ERL is designed to support new research in education, intervention, culture and the arts, and applied games and simulations. The ERL currently acts as the research home to the Intelligent, Immersive Environments (IILE) Core Research Group, comprised of faculty from three HASS departments (Arts, Cognitive Science, Communication and Media). This entry was posted in Uncategorized on June 24, 2013 by changb3. This entry was posted in Uncategorized on February 26, 2014 by changb3.